Greetings, everyone! I am RobotGrrl, the maker of RoboBrrd. I love making robotic creatures! My ultimate goal is to make a robotic creature that is intelligent and has its own personality, eventually being able to become a robotic species of its own. RoboBrrd is the beginning of such quest, and I aim to help everyone become interested in building and learning about robotics. To see some of my other robots, check out my blog! Each week I host the Robot Party, a weekly celebration of robots and robot builders, where we share our robots and progress! You're invited! You can reach me on twitter: @RobotGrrl, and by email. We really value the history of RoboBrrd, and think you might be interested in hearing its story too! Here it is, it's quite lengthy! Adafruit Industries contacted me asking to make some robot videos for their Ask an Engineer show (before Google+ existed). They donated the electronics and had no requirements for the robot. The first RoboBrrd was a 30cm version, with notable pencil eraser tops as eyelashes. This was a fun to experiment with different interaction methods. Adafruit showed a few of the videos on their show, and people started to become interested in it! RoboBrrd was even mentioned in MAKE Magazine Volume 27! For more photos, see the RoboBrrd #1 Collection. 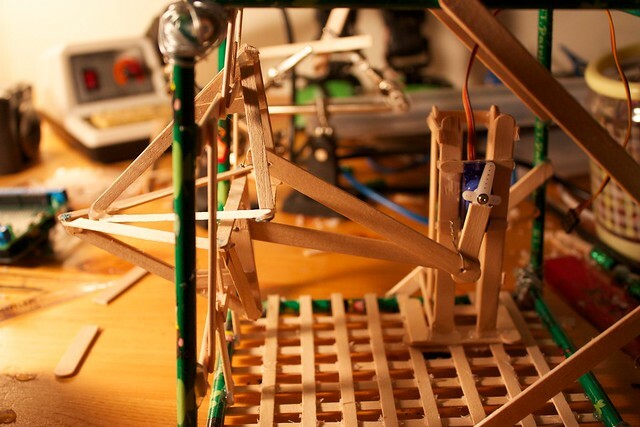 Fast forward to September 2011, the Open Hardware Summit was having a scholarship contest. I created a smaller, more modular version of RoboBrrd called ‘Learning Pet’. We lost the contest, we didn’t even place in the top three. I wasn’t entirely sure if I was going to make another RoboBrrd after that or not, since it seemed (back then), that people did not think it was worthwhile or significant. This was also our first Maker Faire, and in a round-about way we ended up being covered on MAKE Blog and winning 1 Editors Choice award. 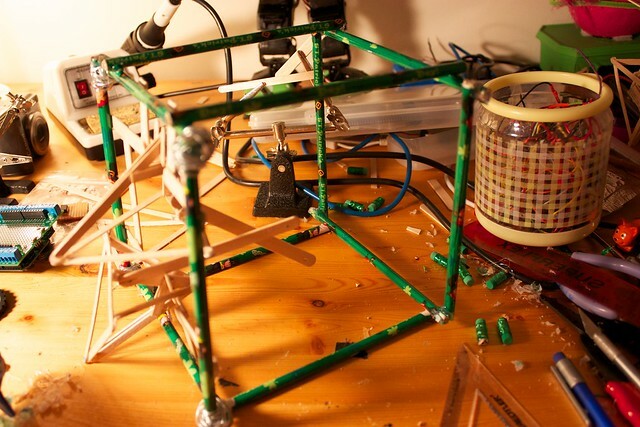 Around October/November 2011, Instructables was hosting its annual Epilog laser cutter contest. I decided to create one more RoboBrrd for this contest. The motivation was if I just had a laser cutter, I could be creating so many more robots! We ended up losing, and not even making it to the judging round. Owch. 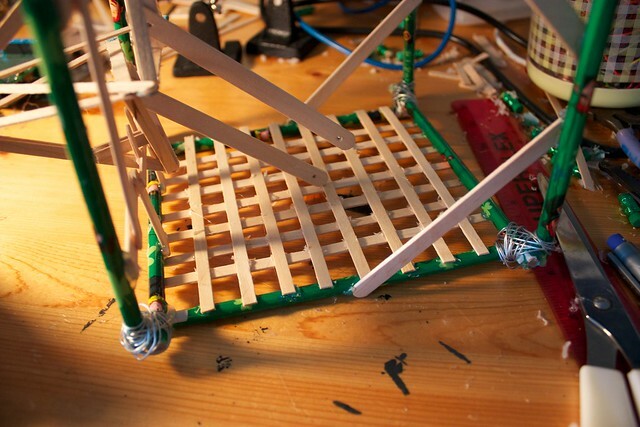 At around the same time, WyoLum had an ‘Open Hardware Innovation Grant’. The prize was $1000, and we won it! 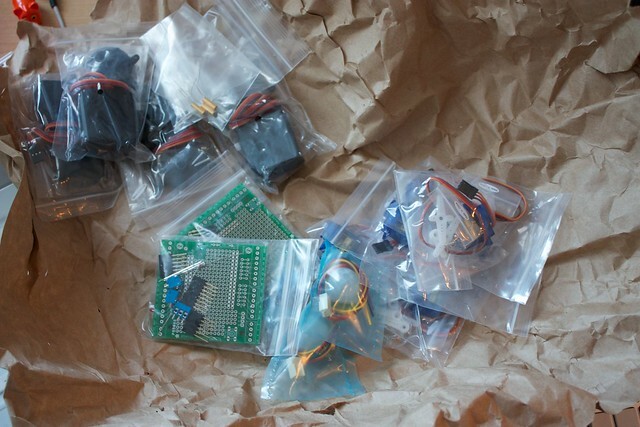 From then on, I dived into creating the brain board (pcb) for RoboBrrd. Also was working on creating the laser cut pieces for RoboBrrd. SpikenzieLabs was helping with the first laser cuts of it. I won a free ticket to go to Montreal Startup Weekend. It seemed like a great opportunity to meet other people and learn more about possibly getting RoboBrrd ‘out there’. I gave my 30 second pitch, and ended up being selected as one of the startups to proceed to the next day of the contest. We gathered a really cool team together for the weekend. We were mentioned in the press for the educational robotics idea. 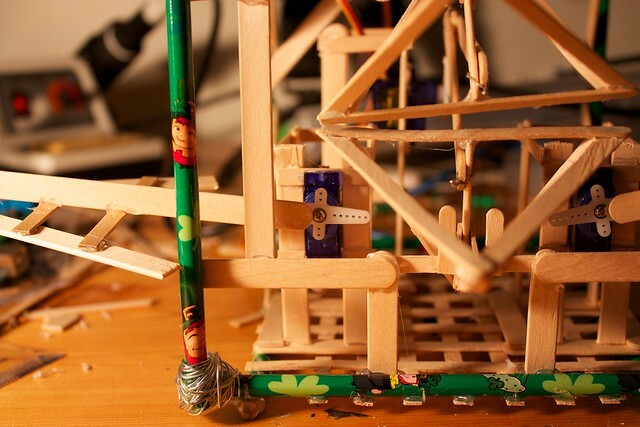 When we gave our final pitch, the feedback from the judges was that it would be a catastrophic failure, no one will buy it, it’s too expensive, it isn’t put together, kids will never want to make one. 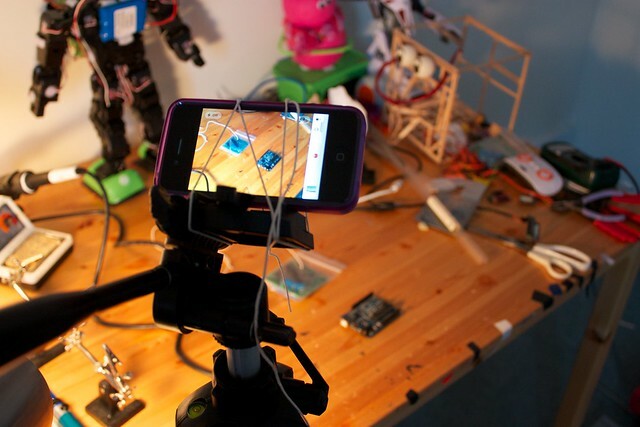 In March 2012 was the Cloud Robotics hackathon. I teamed up with one of the friends I met at Startup Weekend, and we created an interesting project. We ended up winning both the Montreal hackathon, and globally! We even landed some more press about it. From this, we won tickets to go to the International Startup Festival. From April 2012 to May 2012, I was an Artist in Residence at Evil Mad Science. The timing was perfect, I was able to attend RoboGames, a Homebrew Robotics Group meeting, Electronics Flea Market and Maker Faire Bay Area. The amount of knowledge there was amazing, and they really helped with the choosing of material for RoboBrrd. 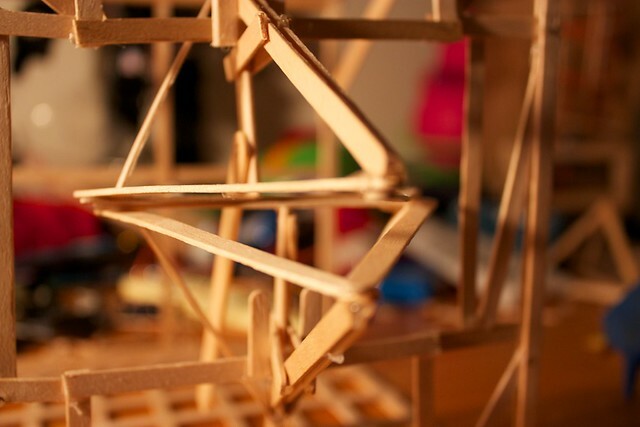 Not only that, but also how the structural elements could be improved, so RoboBrrd could be stronger, while balancing the amount of material and laser cutting time. Maker Faire Bay Area was huge. I ended up creating one RoboBrrd every night at Evil Mad Science, and even gave one to Super-Awesome Sylvia who made an awesome hack with it! We gained a tremendous amount of interest for RoboBrrd, lots of kids walked away with the thought of creating their own. To top it all off, two Editors Choice awards, and one of them was from maker extraordinaire Mark Frauenfelder himself! In July 2012, we went to the International Startup Festival. 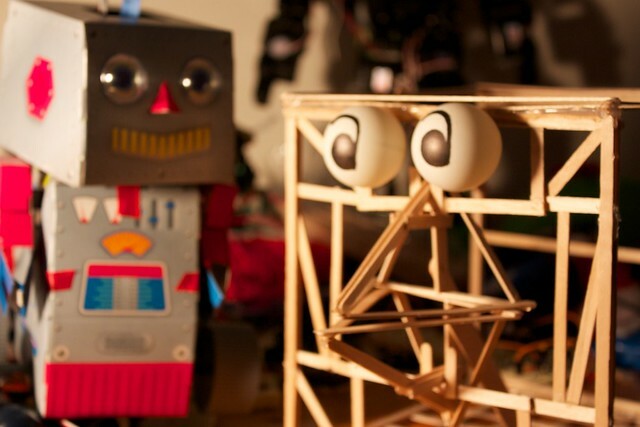 We gained some more interest in RoboBrrd, even landed a spot on television. The feedback from investors was more of the same, it costs too much, it should be assembled, you aren’t pitching it right, and on. We didn't raise any money for RoboBrrd there, but met some interesting people. In August 2012, we were able to exhibit RoboBrrd at the Montreal Mini Maker Faire. This was a great opportunity to meet with even more people interested in RoboBrrd. It took a community effort to get me there, which happened last minute, but a great example of how amazing the maker community is! Fast forward to September 2012. After some months of hard work, the design of RoboBrrd is complete and functional, the brain board (pcb) was updated and is functional, components have been researched and priced out. We were invited to speak at SecondConf, Open Hardware Summit, and were going to demo at Maker Faire New York. We had a great response at SecondConf about RoboBrrd. At Open Hardware Summit, we gave a talk about how sharing the inspiration with robot kits is important. At Maker Faire New York, we demo'ed RoboBrrd in front of many kids who were all really interested in RoboBrrd! We ended up winning the Educators Choice award, and two Editors Choice awards! This brings us to where we are now, on Indiegogo! Check out our campaign here, and help us reach our funding goal! 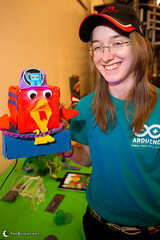 RoboBrrd has also appeared on the Adafruit Show and Tell a few times!